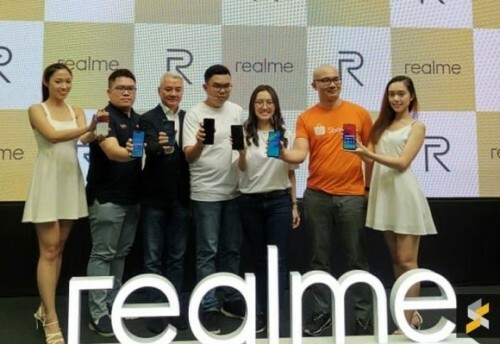 Realme announced a global expansion back in September, and it looks like the company is keeping its promise one country at a time. The Realme 2 Pro, Realme 2, and Realme C1 were introduced in Malaysia, its third market after India and Indonesia. The phones will be available soon at Lazada, Shopee and the brand’s own store. 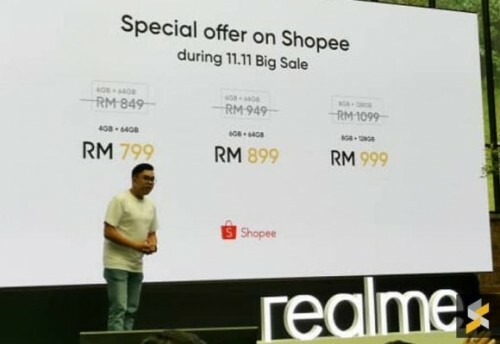 The cheapest of them all is the entry-level Realme C1, priced at MYR449 ($107/€95). It is powered by a Snapdragon 450 and has 2 GB RAM and 16 GB storage. It is currently discounted to MYR399 and will remain like that for a month. Next in line on the price spectrum is the Realme 2 that is either MYR599 or MYR699, depending on the memory combo. Converted in other currencies, the phone is anywhere between $144/€125 and $170/€145. Expectedly, the most expensive phone is Realme 2 Pro. It is powered by a Snapdragon 660 SoC and has three prices due to its three different RAM variants. The 4 GB one is MYR899, the option with 6 GB is MYR949, while the most powerful phone with 8 GB RAM and 128 GB storage cost MYR1,099 or no more than $265/€230. Malaysia is observing the Shopping Festival on November 11, and that’s when the Pro phone will be available. The Realme C1 is next in line with a market appearance on November 22, while the vanilla Realme 2 is last with November 24 as a market launch date.